RAY COOKE AUCTIONEERS are delighted to introduce no. 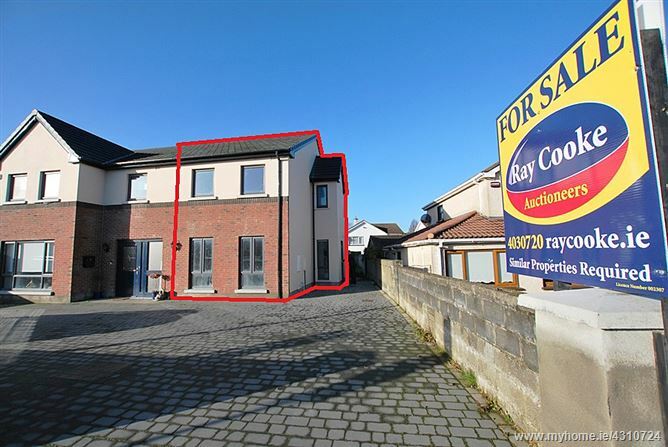 17B Ard Macha to the market in one of Dublin 24's most established and sought after pockets. Old Bawn, ever in demand, is enviably positioned within arm's reach of all essential amenities including esteemed primary & secondary schools, extensive leisure & sports facilities, convenience stores & The Square Shopping Centre. On a transport note bus routes are plentiful and The Luas & M50 Motorway are found within minutes by car. Internal living accommodation of c. 880 sq ft comprises of entrance hallway, guest wc, lounge, kitchen/dining room, two double bedrooms and family shower room. This is an UNFINISHED PROPERTY, coming to the market at first fix stage, and is left ready for the new owner to apply their own stamp and finish it off to its maximum potential. Once complete it will undoubtedly make a magnificent family home. Ideal for any handyman/tradesman/builder - early viewing is highly advised. Call Ray Cooke Auctioneers for further information or to arrange viewing. If travelling from Tallaght Village on Old Bawn Road turn right at the traffic lights after Aherne’s pub. Proceed ahead passing the green fields on the left hand side and at the traffic light junction at the church turn right onto Ard Macha. 17B can be found on the left hand side clearly marked by our For Sale Sign.